This film only has one act, and in the whole act only involves a car, a hands-free mobile device and one man – Ivan Locke (played by Tom Hardy), a highly experienced German-English construction foreman who, after receiving a phone call, decides to do what he feels are the right things to do, but for that, he has to drive to London immediately and by doing so, he will have to skip the most crucial and glorious moment of his concrete career, and not go home to catch an important football game with his wife and two sons. Remembering Steven Knight’s previous film Hummingbird (otherwise known as Redemption in the US), I was already expecting something very uncommon and challenging to fully appreciate. 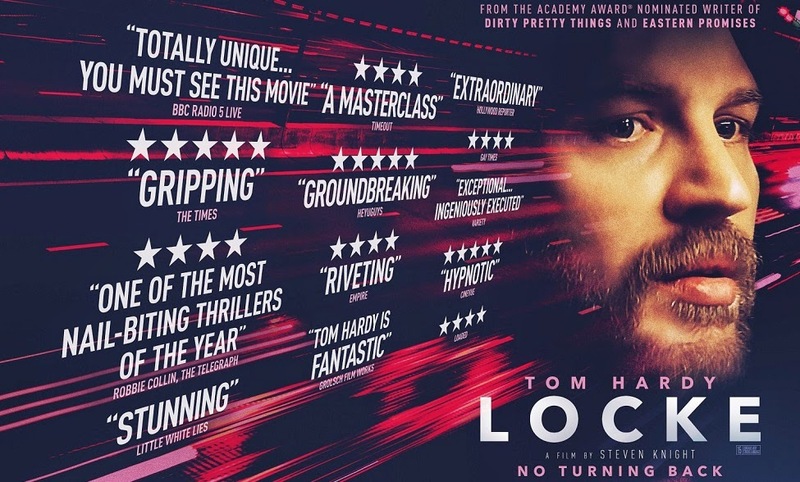 Don’t expect Locke to get out of the car after getting in it at the very beginning, Steven Knight’s film takes viewers through 85 minutes with just the character talking on the phone with several people to manage his job and family while driving to his far-away destination. In between all that, he tries to reassure himself that the decision he’s made is morally correct, regardless of what others think about it. While the film’s one-man-show concept is sort of similar to 2010’s Buried (stars Ryan Reynolds), Locke‘s story is more relatable with a less frustrating character. However, it is also not as thrilling as it’s not a life-threatening situation. With him talking on the phone while driving safely the entire movie, it does feel like one huge product placement. Although it may not be the most exciting movie, it is very thought-provoking in the subject of “the difference between good and bad, and the difference between never and once”. It truly challenges viewers on their moral standpoint. If you made one mistake, would you tell the truth to your family and colleagues even though it might completely ruin all that your have in your life now? Once done, you will not be able to pretend it didn’t happen. Locke would have easily failed without Tom Hardy’s most compelling and emotional performance of his acting career in the film’s driver’s seat. While the titular character is self-assured and frustrated at the same, he has to also express sadness and seemingly doubts through his facial expression while remaining calm and well-mannered on the phone. Not sure if his fake German accent is spot on, but it’s convincing enough for me. The voices of the other characters on the phone also did a splendid job expressing what they need to (mostly disappointment on the usually professional, honest and dependable Ivan Locke who’s also a loving husband and father) and with all the above combined, we have a successfully heartbreaking film that’s one of a kind and perspective-challenging. Censorship in Malaysia: Nothing was cut for the media screening at TGV 1 Utama. Vulgarity not muted, which is essential for these kind of films. Second opinion: When I asked my girlfriend if she liked the movie, she said she don’t know. I can understand. Verdict: One of a kind and thought-provoking, but it’s not for everyone. 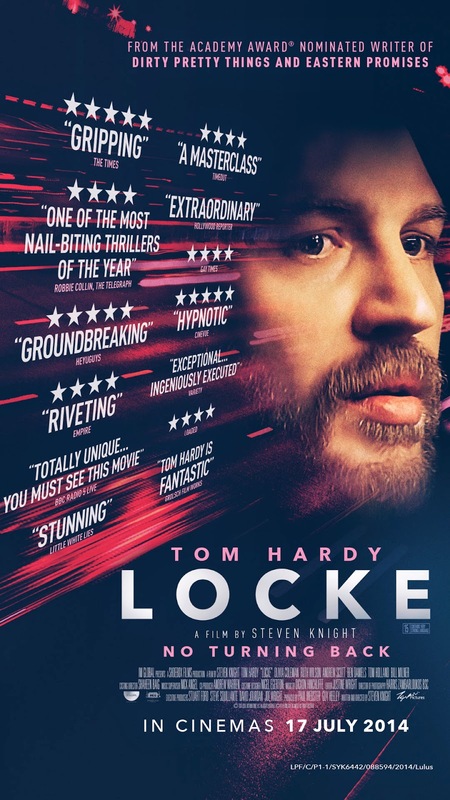 Even if you like non-mainstream films, Locke is not one of those that you’d be very excited about before, during and after watching.